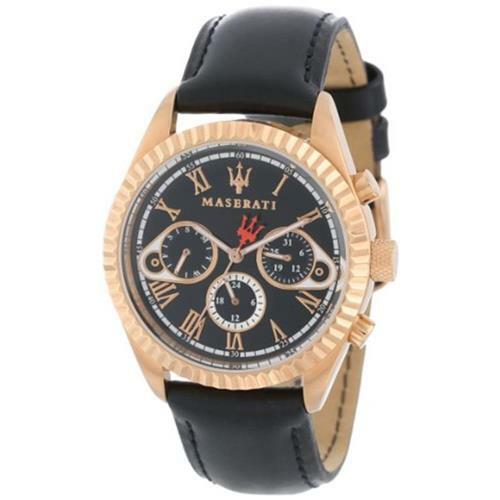 This laid-back timepiece by Maserati guarantees a casual look for any occasion. This watch showcases a subtle black dial and black leather band for a low-key, refined style. This watch also features a 100 meter water resistance and an Analog-quartz movement to produce both a functional tool as well as fun accessory. Additional features include a chronograph, screw-down crown, luminous, day and date display, Roman numeral display, and measures seconds.